After last weekends epic home comeback versus the Raiders, the big games keep on coming. 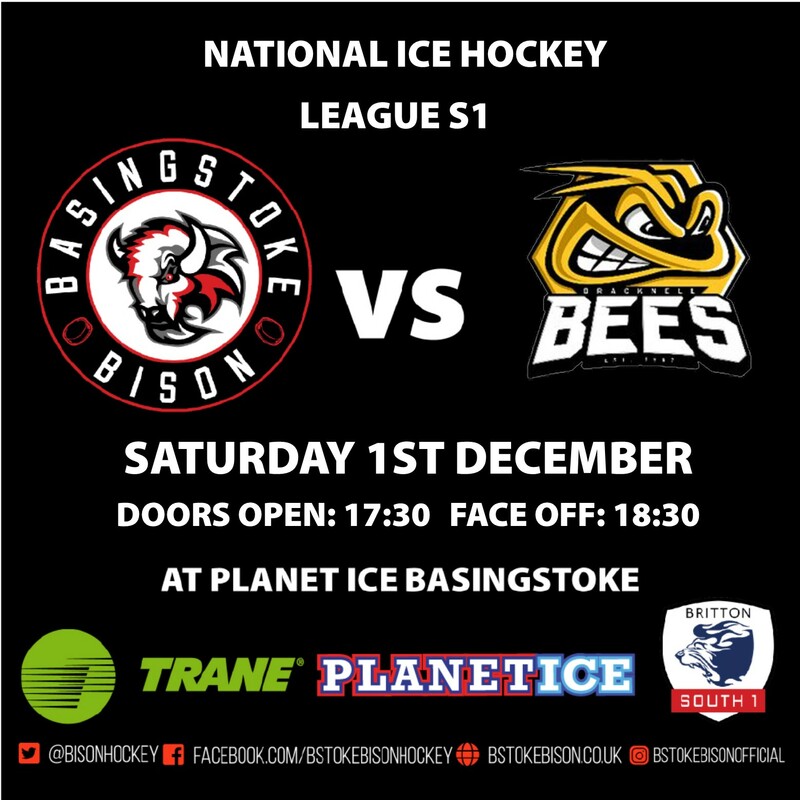 On Saturday night the Trane sponsored Basingstoke Bison entertain local rivals the Bracknell Bees in league action a game that�s been marked off on the calendar by fans of the Herd since the fixtures were announced. Bracknell currently sit in 2nd position having played 18 games on 27 points whilst the Bison have 20 points from 14 games, so a home victory will continue the rise of the Herd up the table. On Sunday night the Herd face travel to Milton Keynes to face the Thunder for the second time this season having won 4 � 0 in Milton Keynes when they played in early November. Saturday�s game starts at the normal time of 6.30pm with doors opening at 5.30pm. Block A	= 10 single seats. Block C = 6 single seats. Block D = 2 single seats. Block E = 14 single seats. Block F = 31 seats. Block G = 25 seats. Block H = Good availability. Looking ahead to the games Bison player/coach Ashley Tait said: �Everyone in the hockey club is aware of how important this game is to the fans but as a coaching team we have stressed to the players that Saturday night is another 2 points available in a 42 game league season. The game in Bracknell was a barnstormer and with the great noisy support we get at our home games we know that Saturday will be no different�. Sunday�s game in Milton Keynes faces off at 6:45pm.